After a couple of weeks from being off from the podcast, I am extremely excited start back with this episode! This week I had the honor of chatting with Tiffany Tolliver, owner and the lead brand designer behind The Emma Rose Agency. 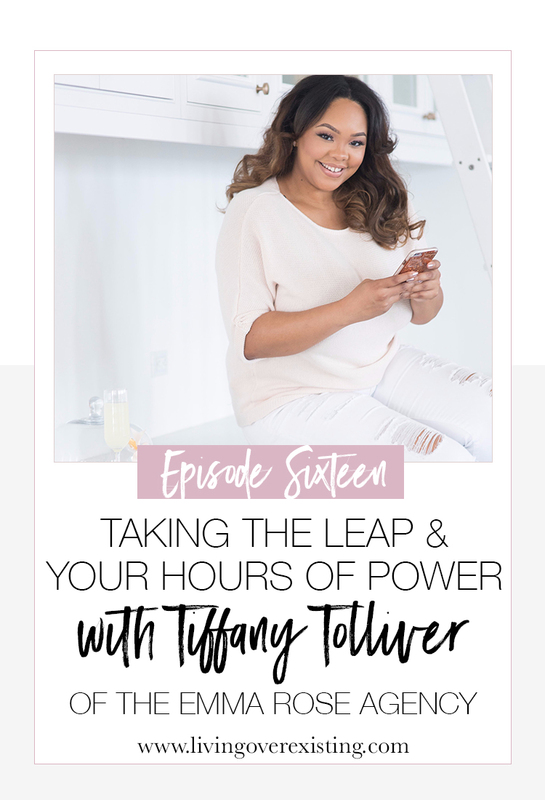 We discuss how she took the leap of faith into quitting her job to run her business, how her morning power hours have changed her life and business, her upcoming move to LA and so much more! I believe that I first discovered Tiffany from her beautiful Instagram feed and her incredible client work, so I knew that I needed to have her on the show to dig a little deeper into her story.